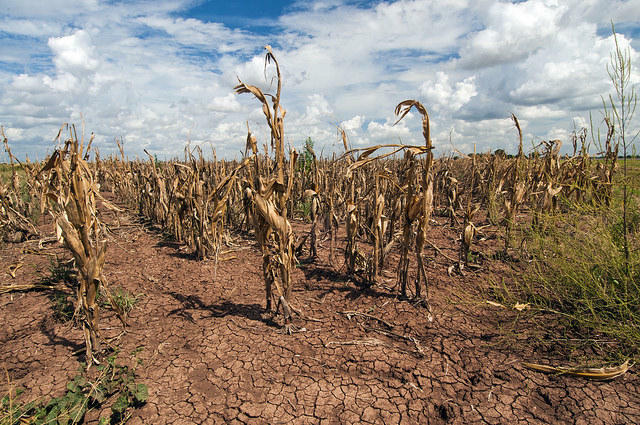 Texas corn withered by drought in 2013. Some energy companies and top Texas officials are threatening court action to block President Obama’s plan for deeper cuts in carbon dioxide emissions. Opponents of the cuts say they will be so costly companies will have to eliminate jobs. The policy clash comes as San Antonio’s Henry Cisneros and other national business leaders are highlighting research that warns of deeper economic costs if the current level of greenhouse emissions continue. The list of business leaders behind the research project entitled,“Risky Business,” includes some heavy hitters who know more than just a little about the corporate bottom line. They include President George W. Bush’s treasury secretary, Henry Paulson Jr.; former New York Mayor Michael Bloomberg; and billionaire hedge fund manager Tom Steyer. Working with them- a bipartisan committee that includes many former presidential cabinet members including San Antonio’s Henry Cisneros who served as U.S. Housing Secretary under President Bill Clinton. Cisneros says what the data shows about the effects of unchecked greenhouse gas emissions in Texas is frightening. 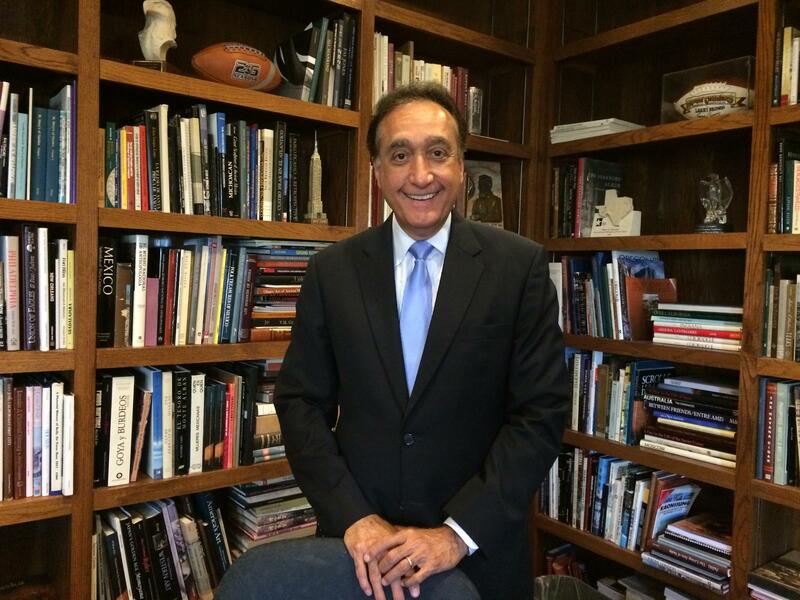 San Antonio's Henry Cisneros is among national business leaders urging businesses to combat global warming. The report says Texas’s already hot summers are on track to get hotter and longer. The average 43 days a year we have now with temperatures above 95 degrees will nearly double in the next two decades to 80 days above 95 degrees. And somewhere around 2059 Texans could be living with that heat 106 days each year. “That’s a third of the year. That changes crop patterns. That changes jobs in agriculture. It changes the product of work in construction. On rooftops- you can’t work in the middle of the day. You have to change work hours. The drought implications, of course, are immense. More cost for getting water, less ability to build because there will be no water permits for growth areas,” Cisneros said. Homes and businesses would need more air conditioning, so more power would have to be generated. Then there’s the effect of rising temperatures on the Gulf Coast. The research concludes that among all U.S. cities, climate trends pose the biggest threat to New Orleans and Houston. Cisneros believes the financial projections are so alarming businesses can be persuaded to first plan for the extra water, power and necessities that will be needed to create habitable communities. Then, he hopes CEO’s will pull out their calculators. Cisneros believes the breakthrough will come when resistant businesses begin to see the reduction of greenhouse emissions not as an environmental or political issue, but as a hard, cold financial calculation.